Judge Loretta Preska, Chief Judge of the United States District Court for the Southern District of New York, spoke at the Milstein Criminal Justice Policy Forum about the negative effects of recent cuts to the federal court system’s budget. 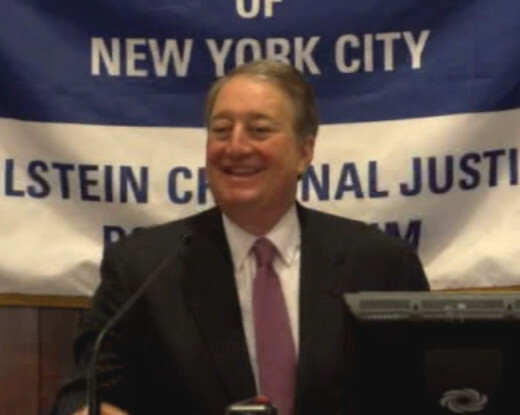 Howard Milstein introduced Judge Preska to the Forum, which was held at the Citizens Crime Commission of New York City on January 28, 2014. 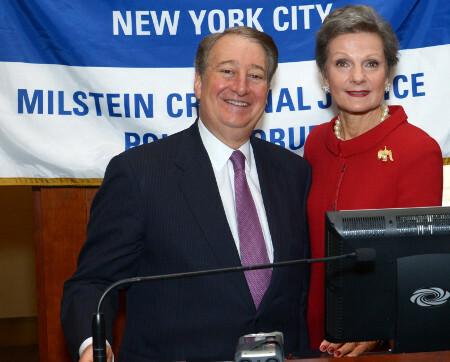 Howard Milstein introduces Chief Judge Loretta Preska at the Milstein Criminal Justice Policy Forum. The opening remarks are by Citizens Crime Commission President Richard Aborn.